The VictronConnect app has been available for iOS for a while and as of today it is also available for Android. 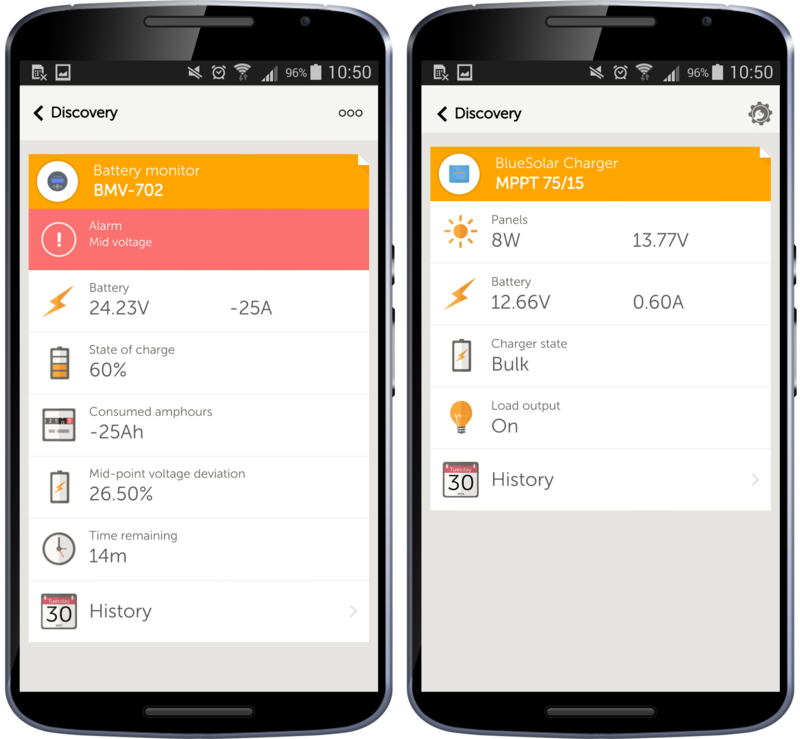 This app lets you monitor and configure BMV Battery Monitors and MPPT Solar Charger Controllers. Other products will be added in due course, such as those shown in the headline image above. One of the great features with the new Android app are the ‘Configuration screens’. This functionality will be included for iOS at a later stage. More on configurable settings in a moment, but for now let’s get started with this cool new Android app. 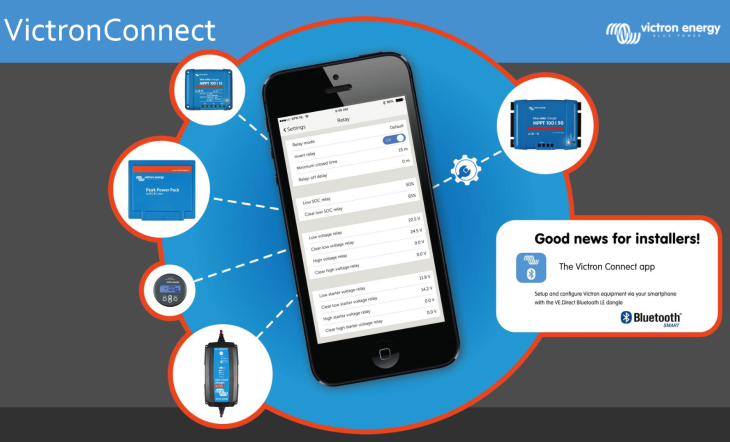 Manual including supported Android phones and tablets: See the VictronConnect manual on Victron Live for a list of supported Android phones. Connectivity: The current Android version only supports connection via USB OTG (On-The-Go). A Bluetooth version for use with the VE.Direct Bluetooth LE dongle is in our labs and will be available soon. To see an image of how an OTG cable and VE.Direct to USB cable interface to an Android phone and BMV-702 click here. 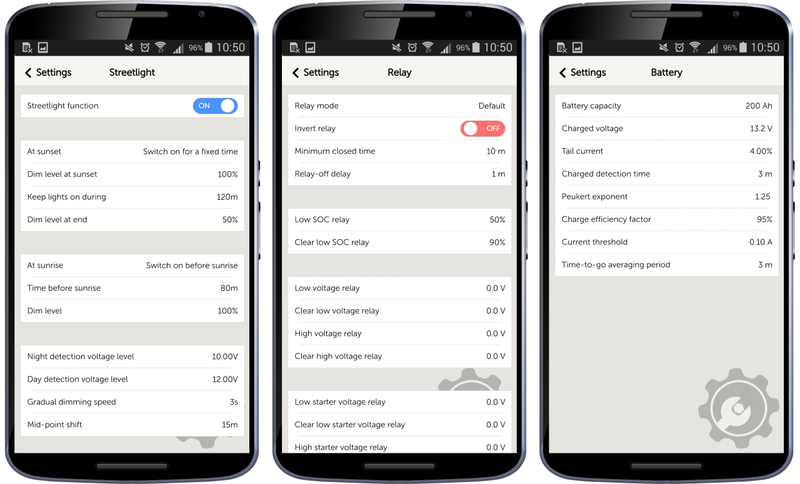 As mentioned previously there are a range of settings that can be configured directly from the app. Below is an example of these. Very useful for installers! Here’s an example of the ‘Live data’ screens for each of the products above. Click the image below to view a larger version. 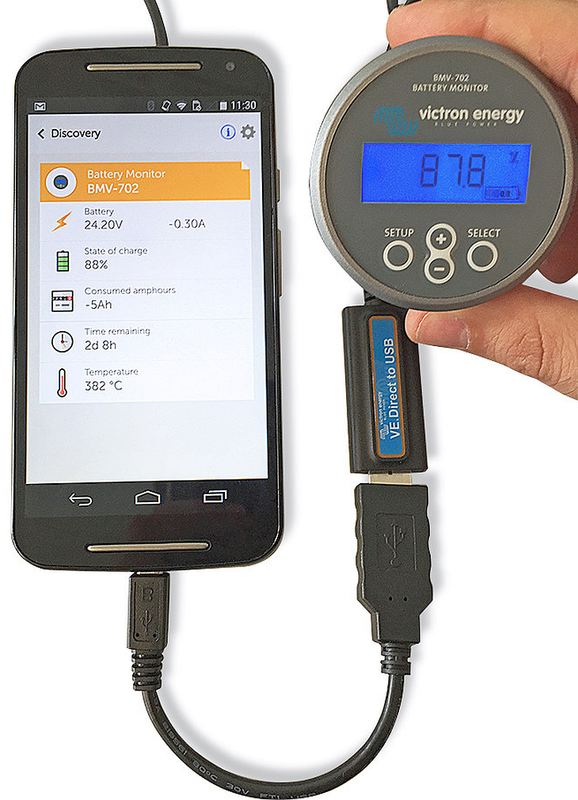 Although I personally use the iOS version of the app, this Android one is a great addition to the ever expanding range of Victron Energy software products. We welcome your feedback on this great new app, in the Disqus comments section below.